Russia’s Intervention into Syria has revealed long-running scandals in the regional foreign policy of the United States and its allies. President Obama’s reversal in late October of his firm pledge to avoid deployment of ground troops in Syria is one of the most obvious short-run embarrassments. But others abound that discredit in substantive, scandalous ways leaders of both U.S. political parties. Exposed also as devious and at best incompetent (and at worst rubber stamps for corrupt warmongers serving the most elite fraction of “the one percent”) are the CIA and State Department, and allied leaders in NATO and nations neighboring Syria. Among the reasons are that Russia’s bold military actions caught allies napping despite the vast spending by U.S. taxpayers on intelligence. Worse, the intervention exposed the essentially fraudulent nature of the long-running allied PR campaign to topple Syria’s government. The campaign has been revealed as a cruel, greedy, and poorly-executed attempt at empire-building reliant on an ongoing propaganda extravaganza that disgraces the political institutions of all those nations that are complicit. Looking ahead: reform, wise policy and public confidence can only come from credible assessment of what’s been going wrong. Update: A bipartisan group of 35 House members opposed to a war in Syria asked ‘Speaker Paul Ryan (R – WI) for a vote in Congress on whether the United States is authorized to use military force in Syria. A vote is required under the War Powers Act. But the House has ignored the law since the actions began in the summer of 2014. 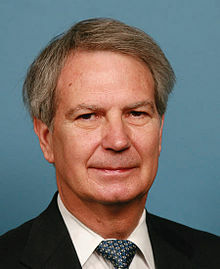 One of the letter-signers is U.S. Rep. Walter Jones (shown in an official photo), a senior Republican representing the North Carolina district that is home to Fort Bragg. 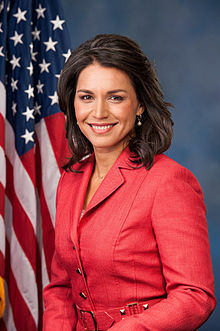 U.S. Rep. Tulsi Gabbard, a second term Democrat from Hawaii with two military tours in the Middle East, has emerged as another compelling critic of U.S. policy. 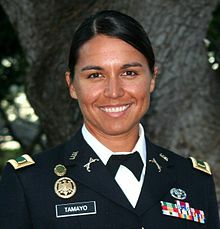 She is shown in both her official photo and one via Wikipedia of her as a second lieutenant in Hawaii’s National Guard, where she is now a major. “CIA Must Stop Illegal, Counterproductive War to Overthrow Assad” was the headline of her CNN interview Oct. 21 with “Situation Room” host Wolf Blitzer, a former Washington director of public relations for the American Israel Political Action Committee (AIPAC). Instead, she argued that the United States must stay out of counterproductive wars and focus on defeating the Islamist extremists who have declared war on America. A member of the House Armed Services Committee and a deputy chair of the Democratic National Committee, she explained that the United States should stop focusing on trying to rid the Middle East of secular dictators and instead target the Islamic State (aka ISIS or ISIL) and not the government of Syria’s President Bashar Al-Assad. The biggest development since our most recent column about Syria, noted above and published on Oct. 13, has been the fierce debates within the Obama administration about the best response to Russia’s intervention. The administration now recognizes that its plan to train what Sen. John McCain (R-AZ) has been calling “Free Syrian Army” with $500 million appropriated by Congress has been a failure so far (even though only about $100 million was reportedly spent). The first contingent of 50 recruits was routed immediately after deployment this summer. Some of the recruits and their weapons went directly to jihadists and about ten percent of the recruits were killed. A second issue for both the United States and its regional allies is how they can continue to try to overthrow Assad now that his government is being strengthened by Russian and Iranian assistance. Sputnik News, for example, reported Oct. 30 Russian bombers had destroyed 237 ISIS and Al Nusra, an Al Qaeda affiliate, targets in Syria during the previous two days, and that Syria’s army was launching a “nationwide” effort to rid the nation of radical Islamists, which recently had controlled more than half of the nation. First is the migrant/refugee crisis stemming from years of U.S.-led wars, particularly to overthrow dictators in Libya and Syria. Europe is being flooded with what is expected soon to be a million impoverished and mostly unvetted Muslims, alarming many local residents at their government’s acquiescence to U.S., NATO, and European Union policies. Second is the greatly increased turbulence in all of Syria’s neighbors, many of them flooded with refugees and most (aside from Lebanon and Iraq) invested in the so-far unsuccessful overthrow of Assad. Turkey’s strongman President Recep Tayyip Erdogan (shown in a White House photo meeting President Obama Dec. 7, 2009) just presided over a major election victory for his party Nov. 1 but opposes not just Assad but also the stateless Kurdish minority that has emerged as the major U.S. ally in the fight against ISIS. Saudi Arabia, like Turkey, is a suspected covert supporter of ISIS and Al Qaeda, thereby complicating its much-touted alliance with the United States. Additionally, the Saudis are engaged with U.S. support of a murderous air campaign (and a potential war crime if a relevant body ever studied it) against large numbers of Yemenis, leaving that nation in destitution and Al Qaeda growing. Israel and Iraq are plagued by many deaths from internal strife. We now explore the Obama administration’s internal debates on responding to Russia’s intervention, which consists mostly of air strikes begun Sept. 30 against anti-Assad forces in the western parts of Syria, not the ISIS strongholds to the east near Iraq. Russia maintains that the radicals it has first attacked are nearly indistinguishable from Islamic State and that it’s approach is most effective. U.S. allies protest, ineffectually so far, that Russia’s approach is hurting genuine homegrown opponents of Assad and civilians. Hawks lean to more arms shipments, troop deployments and imposition of a Syrian “No Fly Zone,” which is an act of war. Hillary Clinton made the difficult argument on MSNBC’s Rachel Maddow show Oct. 23 that forbidding Russia from flights in a newly created U.S. zone would not lead to a dangerous confrontations. Furthermore, the United States is on thin legal ground. Russia entered the fray at the invitation of Syria’s government, Russia’s longtime ally. By contrast, the United States has scant legal basis for any involvement under international law, aside from a vague congressional authorization in 2001 and acquiescence by U.S. allies. Obama’s reaction has been relatively restrained, which is both wise and bold, especially considering the pressures that war-mongers put upon him as they call him timid and indecisive for not being more militaristic. The deployment of 50 special forces personnel was announced as assigning them to logistics duties in support of Kurdish attacks on Islamic State targets, seeming a relatively safe position. But any such deployment faces blowback these days from the U.S. public, the enemy and even “allies.” Obama has now gone back on his promise never to deploy ground troops in Syria. that follows retreat also of his assurances in Iraq and Afghanistan and comes in the context of a long history of special forces “advisors” and CIA personnel engaging in combat in war theaters extending over time from Vietnam to Syria itself. Furthermore, the distinction between ISIS and other radical jihadists is far from clear in Syria, where more than a hundred radical rebels groups are reputed to exist. Former Deputy CIA Director Michael Morell’s recent memoir The Great War of Our Time illustrates the fuzzy distinctions. “Although there is a deep rift between the leadership of ISIS and Al Qa’ida it is important to note that ISIS is effectively Al Qa’ida,” he wrote on Page 307. The difference is a squabble over leadership, “not vision,” he wrote. Morell is shown at right in a JIP photo at the National Press Club during a book lecture May 18. 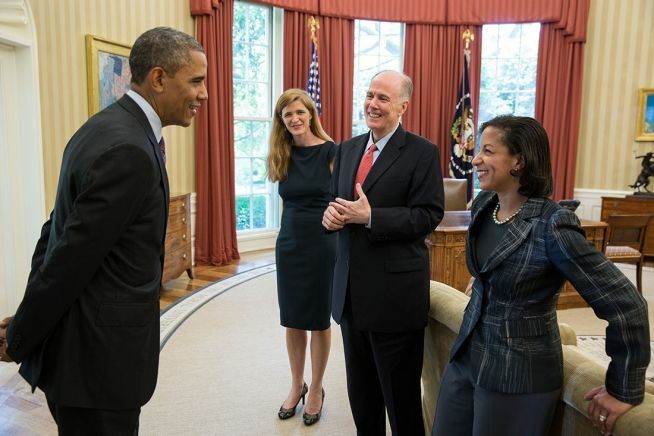 Former Navy intelligence officer Wayne Madsen published a source-based column in 2013 asserting that Obama squeezed out Morell and Donilon because of their reluctance to pursue hawkish options favored by Donilon’s replacement, Susan Rice, and Samantha Power, Rice’s successor as UN Ambassador. This fall, former CIA Director David Petraeus called for the United States to ally with Al Qaeda (an alternative spelling of Morell’s of the same group) in order to overthrow Assad. Petraeus was deeply complicit in the Benghazi operations and public relations announcements before Obama forced his resignation just after reelection in November 2012. Yet Petraeus is pursuing a deeper logic of geo-politics shared by fellow neocons and their allied “neo-liberals” who dominate policy positions in the White House, State and Defense Departments, and intelligence agencies, whether under Republican or Democratic administrations. Thus, Obama has staffed his Defense Department and CIA with many Republicans, including Petraeus, and Democrats tend to be neo-liberals recruited from the Petraeus-inspired Center for a New American Security and similar centers of either outright militarism or its Soros-funded variant of humanitarian and “Open Society” human rights organizations that justify regime change, demonstrations and bombing to purge anti-democratic and inhuman leaders. The targeted “regimes” never seem to be “allies” of the United States however, no matter how many floggings, beheadings and trumped up imprisonments occur. After scant allied military action for a year against ISIS troops that at least occasionally traverse the desert in trucks, Russia’s intervention caught the United States intelligence community sleeping and put the nation into a tough trap. Instead of predicting Russia’s intervention that began Sept. 30, the CIA was conducting a secret war against Syria’s government for four years, it has been revealed in recent weeks. Meanwhile, the NSA has been working with allied Western intelligence agencies on a massive surveillance program (some NSA whistleblowers say the goal has been to record all electronic communications of everyone on earth). Critics persuasively say the NSA should have been prioritizing the most important and dangerous foreign intelligence, which surely must include communications via social media and otherwise from the Islamic State jihadists and murderers. For decades, U.S. policy has been to overthrow Syria’s Assad family as part of an overall plan to eliminate certain secular dictators in the Middle East and North Africa. Some of those rules have been allied with the Soviet Union or Russia but some of those targeted, such as Assad and Iraq’s Saddam Hussein, have also worked on occasion with the United States. Assad is shown in a file photo with his Western-educated wife, Asma Assad, who is of Sunni Muslim background in contrast to her husband’s Shia-related Alawite sect. In 1996, neoconservatives (including Jeb Bush) published their Project for a New American Century manifesto calling for Hussein’s overthrow, among other goals. The 9/11 attacks in 2001 provided a rationale to launch wars against Afghanistan and Iraq, with related military actions in other Muslim nations. In 2011, Syria was among the Middle Eastern and North African governments attacked by “Arab Spring” protesters demanding civic reforms. Assad, a Western-educated medical doctor and son of a dictator who had ruled autocratically for some four decades, brutally crushed the rebellion, which developed into the armed rebellion still destroying the country. From the start, Western governments and their media have portrayed the protests in Syria as legitimate expressions oppressed residents so cruelly treated that the civilized world should support Assad’s removal. Western news media routinely tilt the stories against the Syria government by such methods as suggesting that most fatalities are caused by the government or by quoting the one-man UK-based, anti-Assad propaganda mill, “the Syrian Observatory for Human Rights,” as if it were a neutral source of information. Rare is the Western report that explores such obvious story angles as: how land-locked ISIS and Al Qaeda regions are able receive supplies and sell oil without the complicity of U.S. allies, or why Syria’s government is not entitled to repel a rebellion fueled by tens of thousands of non-Syrian jihadists coming into the country from as far away as Australia. Closer to home, one might reasonably wonder (but almost never read or see in Western media) why the West’s advanced surveillance technology cannot track ISIS armadas of Toyota trucks cruising across deserts or a vigorous social media propaganda campaign. Part of it involves crass religious, political, and territorial ambitions of most of Syria’s neighboring nations. They have worked in a little reported de facto alliance to prevent Shia-oriented governments from extending through Iran, Iraq, Syria and Lebanon on the Mediterranean Sea. Several other such motives have been reported with widely varying degrees of documentation. Among them are a reputed desire by some Israeli leaders to destabilize Israel’s main neighbor to the east even though Syria has not in recent years shown any significant military threat to Israel, and by Turkey to extend its Muslim traditions south under Erdogan, who is repositioning his nation from a secular state to Islamist state and thus in opposition to its neighbor to the south. Although most Western reporting underscores Alawite-Sunni rivalries a more detached reflection would indicate that Syria’s government could not have resisted rebels aided by so many neighbors and NATO unless it could draw on support from Sunnis, Christians, Kurds and others who make up the vast bulk of the population. In recent weeks, mainstream media have reported in scattered fashion the CIA has been waging a covert war for four years against Assad. Such a secret war would be, of course, quite different than the standard accounts that purely local opponents have been fighting Assad while the U.S. debates use of various forms of “non-lethal” aid. The conservative history and political commentator Paul Craig Roberts, a former Reagan administration assistant Treasury secretary, is among the critics describing Russia’s intervention into Syria as a debacle of historic proportions brought on by warmongers of both major U.S. political parties and vassal states in Europe unwilling stand up for their own citizens. * This analysis was previously published in Justice Integrity Project. Author Andrew Kreig is the founder and director of JIS, and a member of The Indicter’s Editoral Board, where details on the author can be seen.